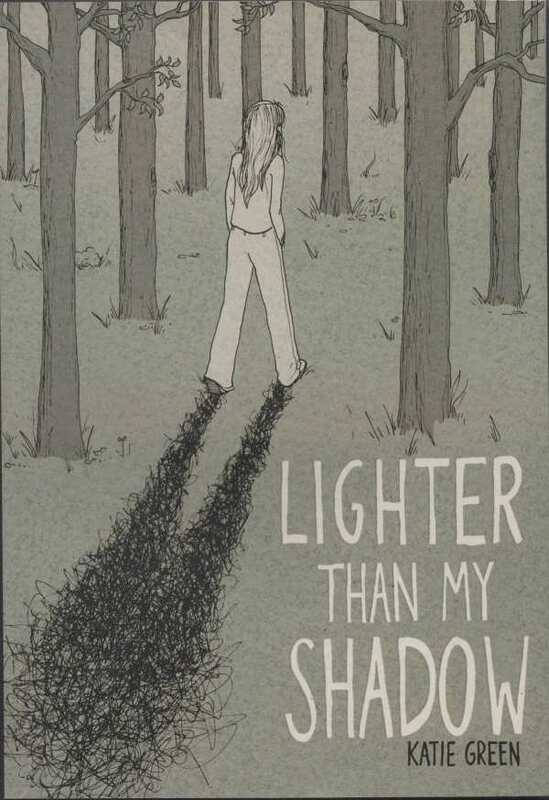 Katie Green’s memoir, Lighter Than My Shadow, offers a personal, finely wrought examination of life with an eating disorder, as well as of the repercussions of abuse. Warning signs appear early. Young Katie seems obsessed with perfection, particularly with regard to her body image and tracking what she eats. When the problem manifests itself outwardly and Katie is diagnosed with anorexia, her parents consult an “alternative therapist” who betrays Katie’s trust and adds another layer of emotional obstacles for her to overcome. Green’s account is revealing, not just in its unguarded disclosures of events in her life but also in its exploration of what takes a smart girl from a supportive family down such a difficult path. Katie is a sympathetic, almost tragic figure as she cycles from one round of “recovery” to another and is nearly undone by the process. Finally, she achieves a delicate balance that allows her to move on with her life as an artist. Green’s drawings capture feelings that her words alone cannot. There’s no substitute for the visceral reaction to witnessing the shocking changes in Katie’s body or seeing her doubts, fear, and obsessions manifested in the form of a black cloud, or shadow, that appears throughout the book—sometimes small, sometimes completely enveloping her. Lighter Than My Shadow features some adult content but is insightful and valuable for those of high-school age or even younger. It’s a gripping memoir that survivors can relate to, and one that will produce a greater degree of empathy and understanding in those who have little experience with the subject.